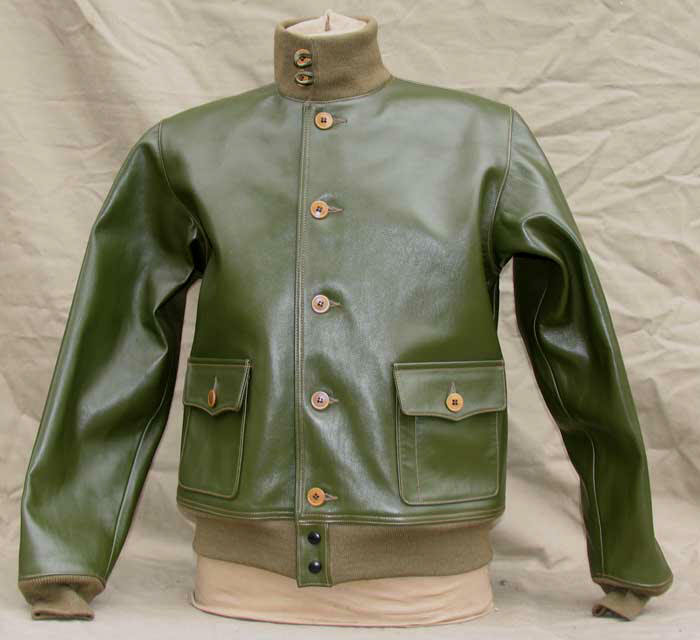 The very scarce and very striking precursor to the A-2 Flight Jacket, procured in very small quantities by the shrunken post-WWI military flying services. Because of the small contracts, virtually every A-1 is different in major or minor aspects, each in effect being, it appears, an R&D test mule of sorts. Colors vary from Olive Drab to Russet Brown. On some the pockets are small and high up on the chest (the configuration we use for our limited Olive Horsehide, shown above). 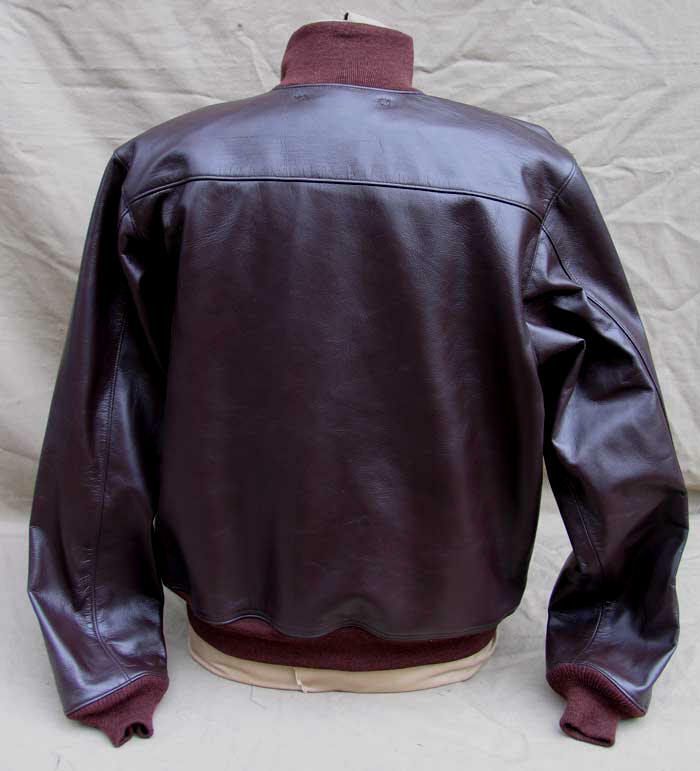 Some were made of fragile Lambskin (South African Capeskin specified in the 1926 contract), others Horsehide, probably some of Goatskin as well. The A-1 we reproduce is the AN6501 contract from 1931, the final year of AAC procurement. The Navy and Marines continued to use the A-1 throughout the 1930s. 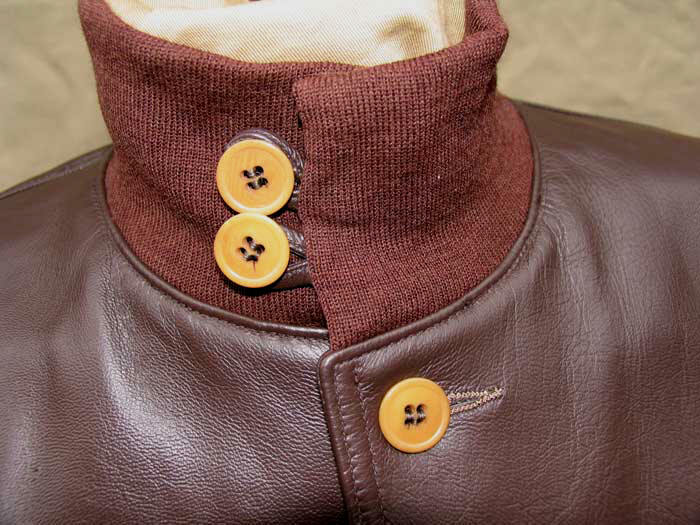 Consider such unique features as the original antique Bakelite buttons on our LOST WORLDS A-1; our signature ultra- heavyweight chrome-tanned, drum-dyed Horsehide Leather; perfect 100% Russet Wool Knit; Tobacco Brown. And consider our masterful artisan-quality workmanship and detail. Such set LOST WORLDS apart. A man's jacket, needs drenching rain and use, not kid gloves. 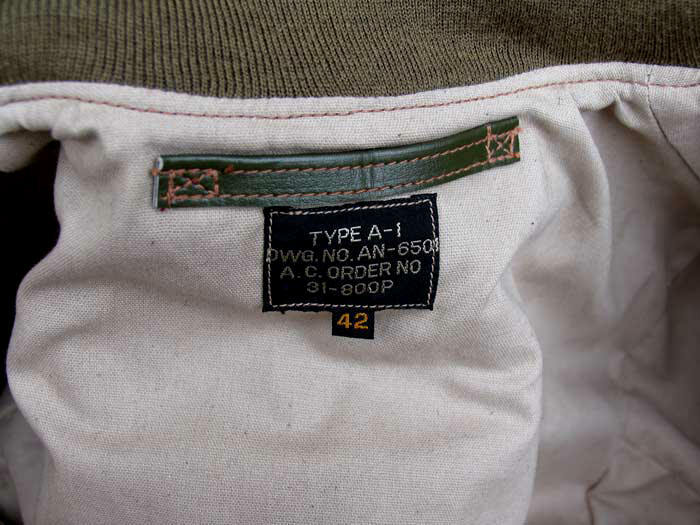 With its button front the A-1 is quite modern looking: pure Style, devoid of flash and superfluous add-ons, ever fresh. So scarce are originals that the best place to see them is in vintage movies: in Howard Hawks' classic ONLY ANGELS HAVE WINGS (1939), both Cary Grant and Noah Beery Jr. sport A-1s and both, typically, are different in color and detail. 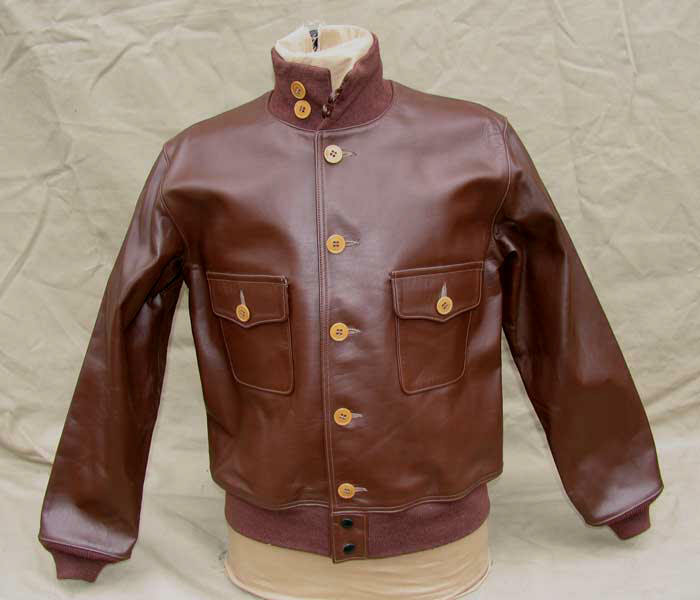 A-1, Russet Horsehide, earlier chest pocket configuration. 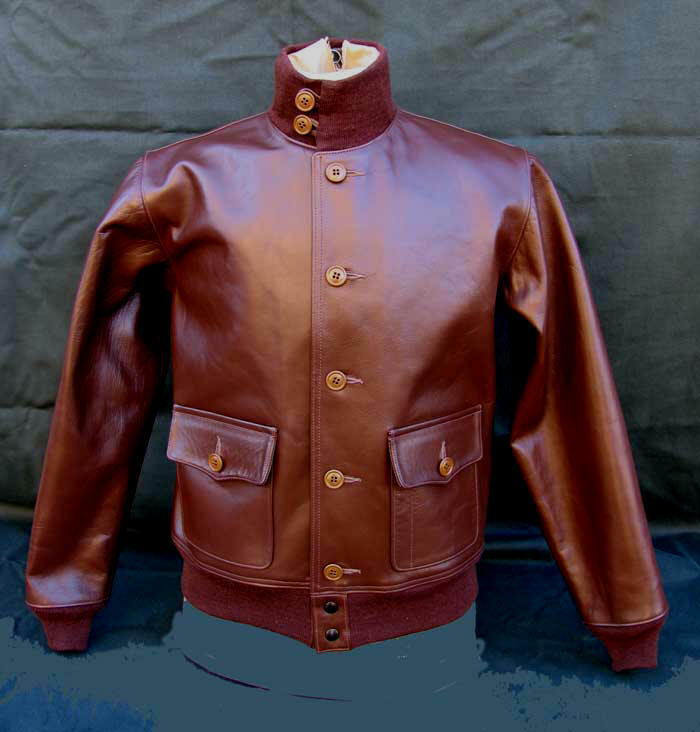 The time capsule sense of being there, as it was then -- genuine antique Bakelite buttons, 100% Merino Wool knit, fabulous (custom) Goatskin. 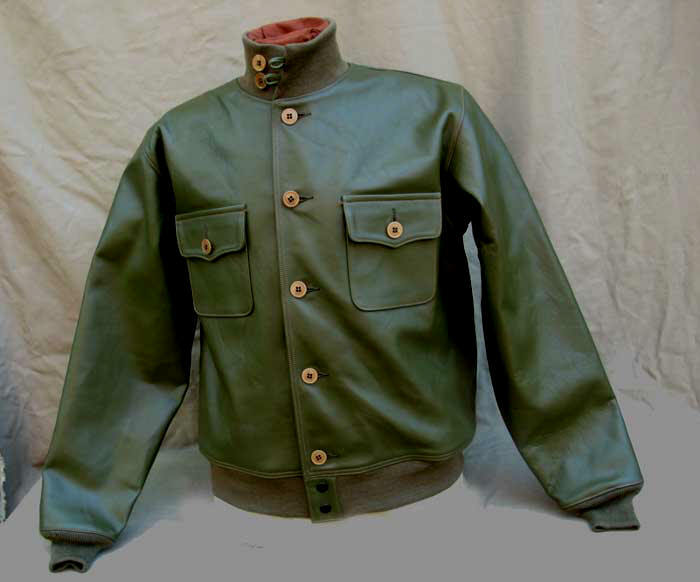 Periodically we tan our matchless Horsehide in Olive for Custom Orders. The early green color A-1 is an excellent historical choice for these scarce hides, as these examples well indicate. This A-1, with early version chest pockets, was built for a Naval aviator on his way to the Persian Gulf war zone, Summer 2004. Good luck, Commander, and good hunting! ©2019 VINTAGE HYDE CORP. All Rights Reserved.